We are back in Amsterdam's most iconic location to celebrate easter weekend like you've never before. 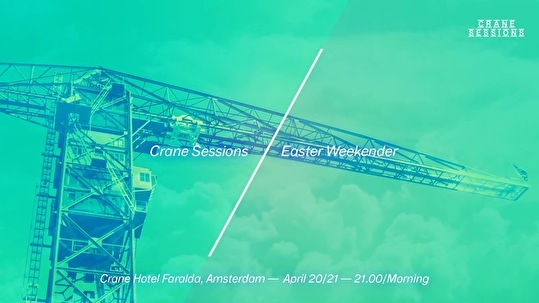 From 20th of April up until early morning hours of Monday 22nd, the crane will be delivering after sessions designed to keep you on your feet when you need it the most. Located at the heart of NDSM, at walking distance from DGTL festival, this weekend's lineup has been put together with the sole purpose of developing energy while each delivers nothing but quality within their own sound spectrum. A night filled with technicality delivered by our artists, and a vibe delivered by you. The crane holds up to 80 attendants, making it the most intimate and connecting crowd in Amsterdam.